The well-developed door system is characterized by its cost-effectiveness, robustness and simple design. 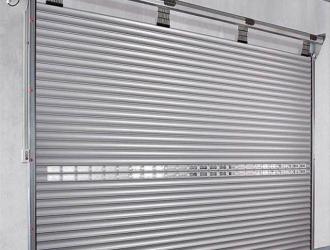 Due to the space-saving roller technology and the hard-wearing roller door curtain, Teckentrup roller shutters are particularly suitable for use in high and especially wide door openings which have to withstand harsh conditions. Thanks to the flexible design concept, all individual requirements can be met, even in the tightest of spaces. Owing to the optimum cross-sectional dimensions, the special ThermoTeck sections can be wound up very tightly, thus protecting the door surface, saving space and keeping noise levels to a minimum. Topped with an excellent section design, the result is a roller shutter system which works reliably every day and still looks good after many years thanks to robust and attractive micro-profiling. Stress, hectic, the pressure of deadlines or simple human errors. 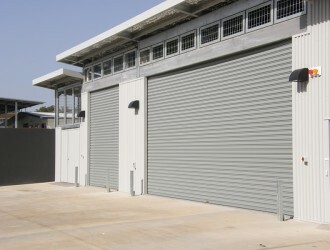 In the “heat of the moment”collisions between transport equipment and roller shutters can easily occur – but with Teckentrup doors, such accidents rarely end in disaster. The flexible roller shutter curtain can yield and spring back; the very robust sections are rarely damaged or have to be replaced. In addition to first-class designs and materials, the components used in Teckentrup roller shutters are mighty impressive. 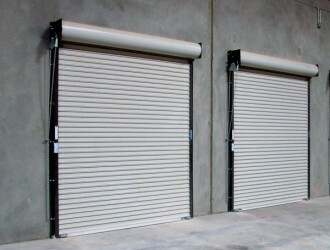 Stable guide rails, wind hooks and perfectly harmonized drive and control systems form the basis of our state-of-the-art roller shutter systems.